Looking for great british teas, great british food & Gifts with great prices and great service then Rather Jolly Tea is just the right place. The British Shoppe & The Rather Jolly Tea Company are based in Orlando, Florida, providing the most extensive selection of traditional and gourmet British foods, teas & gifts available in the USA. Order the largest range of traditional English, Scottish and Irish foods, frozen foods,sweets, biscuits and Luxury items and much, much more..
Order the largest range of British, English, Irish & Scottish foods, gifts and teas. Choose from Great British foods, such as Cadburys sweets & Chocolates, McVities Chocolate biscuits, Sharwoods & Geeta Indian Cuisne, Luxury Gourmet Teas and British Gifts, Luxury Jams, Preserves and Tea accessories fit for Her Majesty the Queen herself! 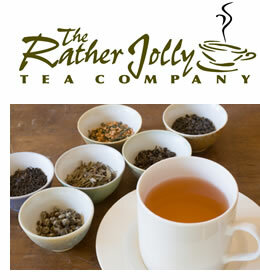 Our company was established in 1997 and since then Rather Jolly tea has been renowned for high quality teas Food & Gifts and today we continue that reputation with assorted teas, tea accessories and British gourmet foods. As well as our own Rather Jolly Tea brand we also have PG Tips, Typhoo Tea, Harrisons & Crosfield, Heath & Heather teas with more to come.